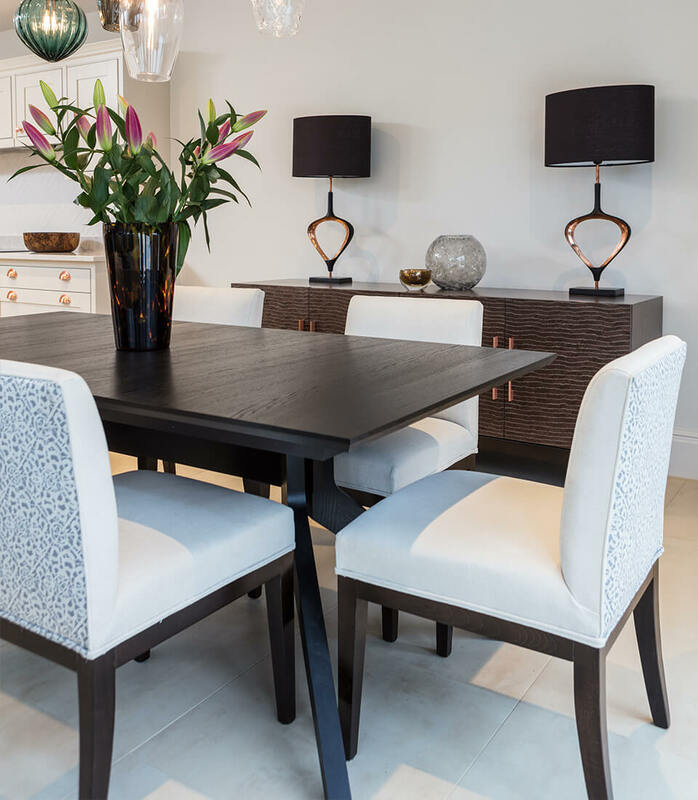 At Pfeiffer Design, we design and make bespoke dining chairs right here in East Sussex, using only the finest quality materials. 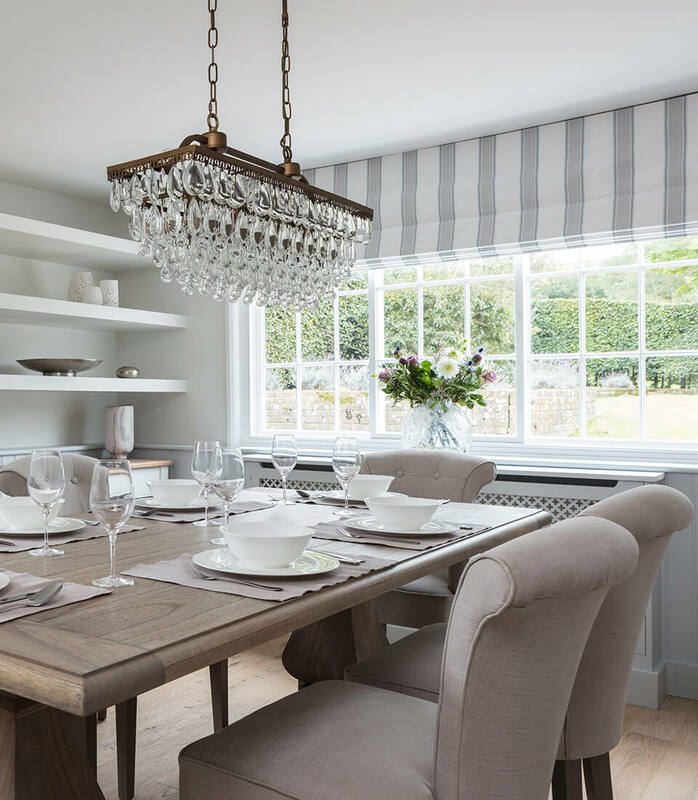 Our trusted frame-makers build all of our frames from solid British beech, resulting in an end-product of exceptionally high quality; built to last in your home for years to come. Beech is prized by those in the know for its tight, fine grain, even texture and pale colour, meaning it is exceptionally strong, hardwearing, and versatile when it comes to polishing and staining. We are so confident in the exceptional quality of our dining chairs that we unconditionally guarantee all frames for 15 years. All our cushion fillings and upholstery materials strictly comply with U.K Fire Regulations, and are guaranteed for two years. 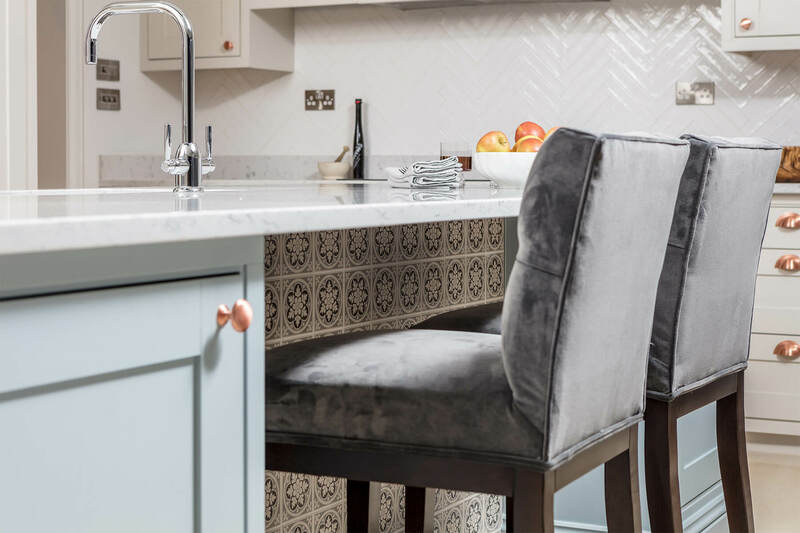 Having a set of bespoke dining chairs is one of the most effective ways to personalise or update your kitchen or dining room, resulting in a truly unique space. 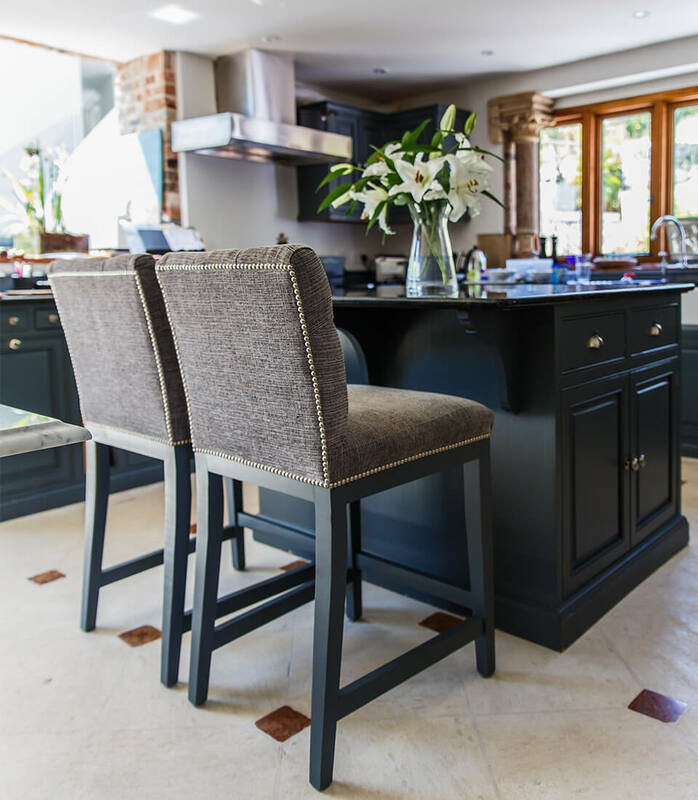 The made-to-order aspect means not only do you end up with bespoke furniture items, you aren’t restricted by standardised designs, shapes and sizes, and are able to fully customise the furniture according to your space. We manage every aspect of the process, from initial CAD drawings and design, to delivery and installation. Our longstanding, trusting relationships with all of our fabric suppliers means that you get the pick of the very best designer-led designs, as well as helping lower the overall cost significantly. As professional interior designers, we are able to recommend and specify upholstery options according to your unique requirements; including stain-resistant velvets and hardwearing canvases, especially for those with young children or pets.